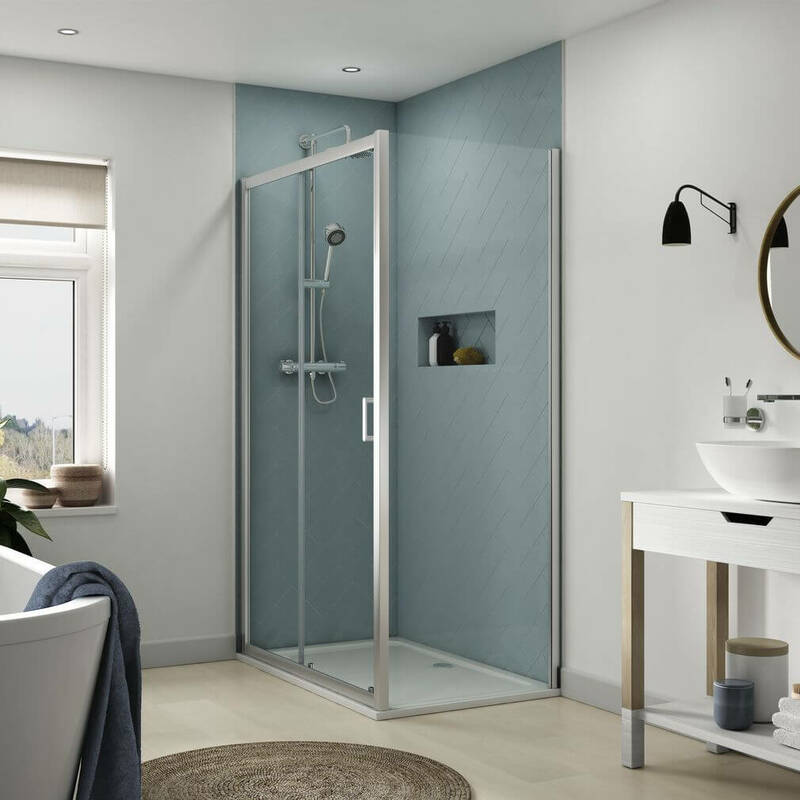 The Sliding Shower Door from Aqualux Origin range comes with a polished silver effect semi frame and has a welcoming look. 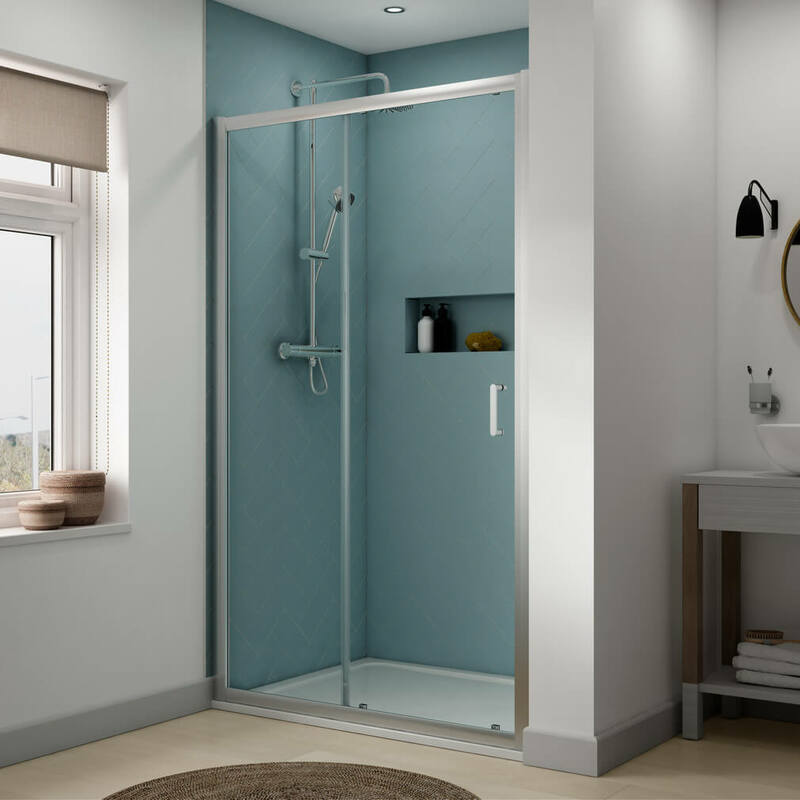 Designed for recessed fitting or for combining with an optional side panel to make a corner installation, it creates an intimate niche for enjoyable showering. 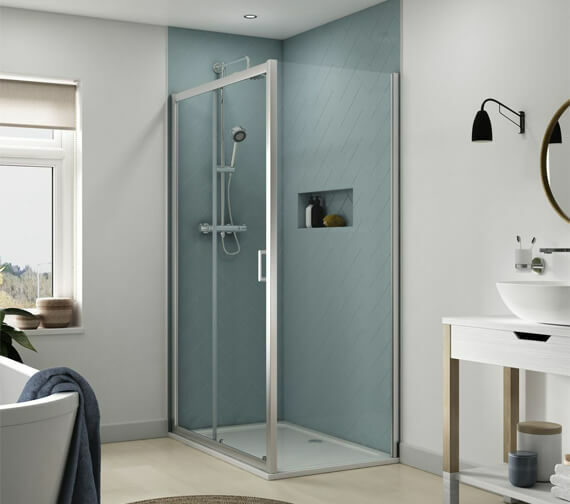 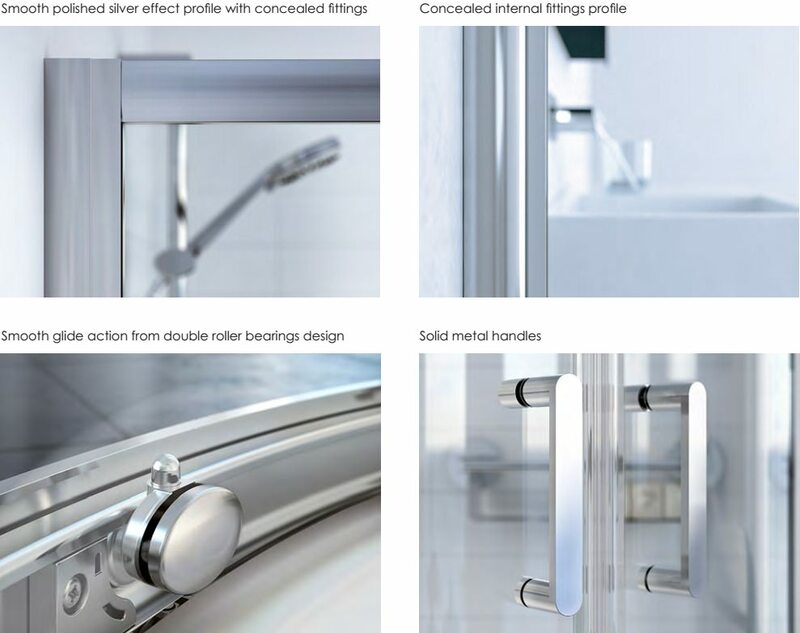 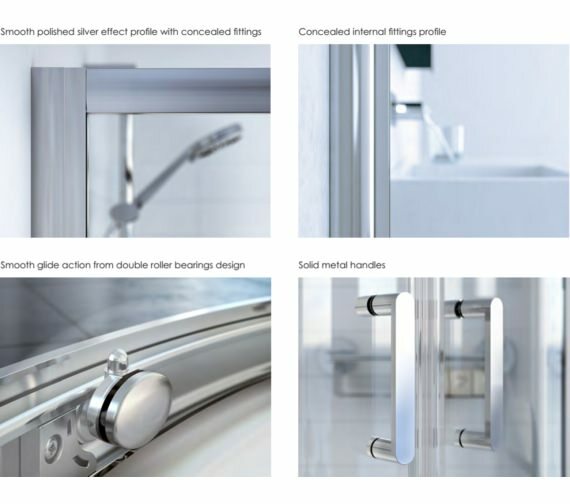 Its construction from toughened clear glass treated with Aquagleam anti-calc prevents limescale formations and maintains clarity. 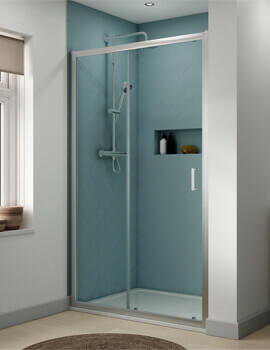 It comes with adjustable wall profiles for a perfect fit and a magnetic closure for leak free showering. 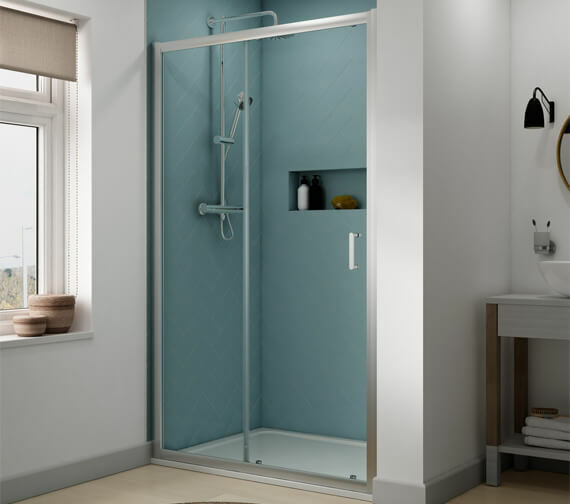 Guaranteed for 12 years, it can be installed with optionally available Eay Plumb Leg kit and used effectively with optional shower tray and waste.